The City Administrator reports directly to the Mayor and manages city operations and administration. The City Administrator is responsible for daily operations, oversight and management of the city including finance, budget, administration of city municipal code, and city policy. For additional information, please contact City Hall at (509) 894-4096. The mission of the Mabton Police Department is to coordinate and form partnerships within the community to preserve the public trust, protect persons and property, to protect the rights of all persons, prevent crime and provide assistance to all residents. 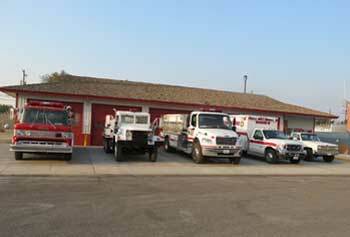 The City of Mabton and Yakima County Fire District 5 operate a fire station staffed by volunteers and led by Mabton Fire Chief Luke Cussins. Public Works Department: is responsible for the daily operations and maintenance of the water and sewer systems, streets, cemetery, and parks in the City of Mabton. Garbage service is contracted to Yakima Waste Systems Incorporated. The Department includes Waste Water Treatment Facility operators and maintenance employees. The duties of volunteers serving on the Planning Commission include: to make and study the physical developments and requirements of the city, to make plans and recommendations for such development and requirements looking toward the orderly growth and convenient use and enjoyment of property in the city and to recommend to the city council, from time to time, the passage of legislation to carry into effect such plans as may be developed by the planning commission and it shall be particularly the duty of the commission to study and plan for a comprehensive and satisfactory zoning of the city. In addition to its other duties, it shall be the duty of the planning commission to review the city’s comprehensive plan and to recommend any necessary changes to such plan. The City of Mabton, Washington is a small rural community (population of 2,500) that is a great place to live, work and recreate. Mabton is a growing agricultural community that is investing in its infrastructure to attract economic development to increase revenues and provide better services to our residents. Mabton is rich in history and has a strong sense of community and family. 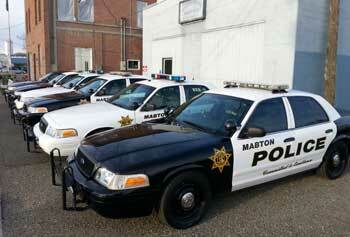 The City of Mabton is currently accepting applications for the position of Police Chief. Interested applicants should contact Mabton City Hall, to pick up an application and other instructions for the application process. Applications period will be from January 2, 2019 to January 18, 2019 at 3:00 p.m. Incomplete or last application will not be considered. The City of Mabton is an equal opportunity employer and encourage women and minorities to apply. Questions may be directed to Laura Vazquez, Mayor at Mabton City Hall. (509) 894-4096. The City of Mabton is recruiting for an CityTreasurer. The annual salary range for this position is $42,080 to $62,000 DOEQ. If you want to be a key component in making a positive impact in a small community then this job opportunity is for you. 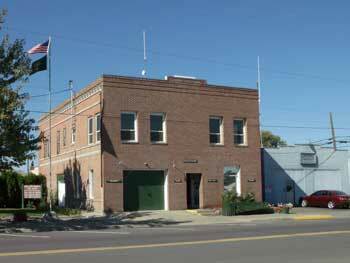 Job descriptions and application packet can be picked up at Mabton City Hall, 305 Main Street, Mabton, Washington. You may submit your completed application packet via E-Mail to City Clerk Sylvia Sanchez at sylvia.sanchez@co.yakima.wa.us, OR via U.S. Mail OR in person at Mabton City Hall. If you have any questions or for further information please call (509) 894-4096. This recruitment is open until selection is made. The Mabton Police Department is always looking for good men and women to join our team as Reserve Unit Officers. Copyright © 2013-2018 City of Mabton, Mabton, Washington.. All rights reserved.